After you’ve checked off your list of reasons you need a yoga retreat, the next step is finding the right one for you. There’s plenty to choose from with so many unique offerings. 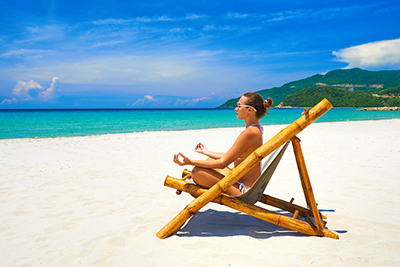 Here are a few tips to help you on your yoga vacation search. Close your eyes and imagine you are on the yoga retreat of your dreams. Where are you? On a mountaintop? Dipping your toes in the sand? Are you in the thick of the jungle? Or in an oasis amid the hustle and bustle of a thriving metropolis? Is language a consideration? What are you looking for? This might be the most important consideration when selecting a yoga retreat. Think about what you are hoping to get out of the retreat, and look for retreats that align with your intentions and goals. Likewise, consider the style of the retreat. Are you a die hard power yogi looking for a challenge? In that case, you probably don’t want to sign up for a restorative retreat. Finally, be sure to check out the schedule for the retreat. Some retreats leave a lot of free time for you to try different activities, explore, journal, and relax. Other retreats offer more structured activity. What do you prefer? Retreats vary in length. Local mini retreats may last a few hours. Destination retreats could last a few days, or even up to a few weeks. What suits your needs and your schedule? Also consider the timing of the retreat. Perhaps your lifestyle is such that it makes sense to plan your retreat well in advance. Sometimes, we really need to get away. Don’t put off a retreat if you need it now! Who’s the teacher? Are you familiar with the guide, or will this be your first experience with him/her? Is there an information session available for the retreat? Look into the teacher’s experience. Please reach out to the teacher with any questions you may have. There’s nothing wrong with doing your homework. How much are you able and willing to spend? What does the price of the retreat include? What exactly are you paying for? Also consider the accommodations – are you looking for high-thread count sheets and mints on your pillow? Or something a bit more rustic? No it’s time to find your vacation. Take a look at our 2018-19 Retreat Guide for a hand-picked selection of retreats throughout the world!